Who has been recently appointed as the new Prime Minister of Gaza ? Aero India 2017 was recently held at which Indian city ? Name the Australian batsman, who has the second-highest average in Test cricket, announced his retirement from international cricket ? New Indian airline flew its inaugural flight from New Delhi to Durgapur on 14th February 2017. Name it ? 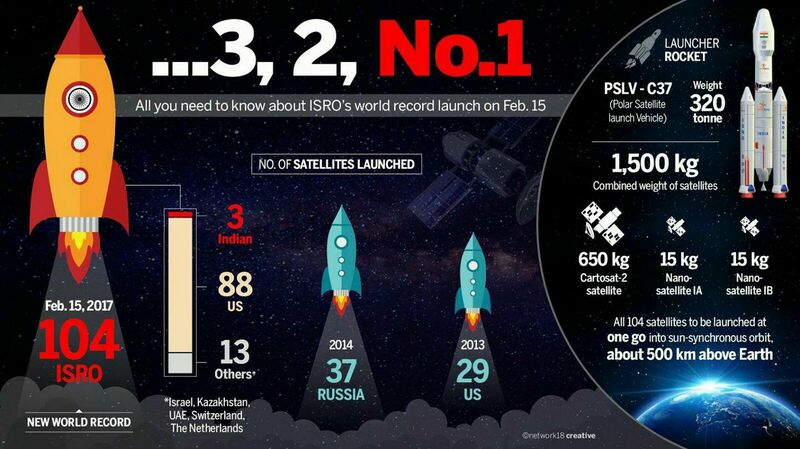 The Indian Space Research Organisation (ISRO) has made history by successfully launching how many satellites in one go ? Before India, which country held the previous record of launching maximum number of satellites (37),launched in 2014. Name the Young Indian racer, who has made history by winning New Zealand Grand Prix 2017 at Manfeild (New Zealand) ? The 1st ever ITTF World Tour event was hosted by which Indian city from 16th to 19th February 2017 ? Name the English cricketer, who has been appointed as England's new Test captain ? India has joined an UN network to halve maternal, newborn deaths. With this, India has became the __________th country to join this network. Germaine de Randamie became the 1st winner of the UFC women's featherweight championship. She is from which country ? Pakistan's permanent representative to the UN was recently appointed the country's first woman Foreign Secretary. Name her ? Anil Ambani group led Reliance Defence and Engineering Limited (RDEL) has signed a Master Ship Repair Agreement (MSRA) with the Navy of which country to provide repair and alteration services for ships of the Seventh Fleet ? Turkmenistan's current President has recently won a fresh 7-year term. Who is he ?